Our range of products include ss allen bolts, stainless steel hose clamps, industrial washers, ss hex bolts, industrial nuts and allen csk bolt. National Sales Corporation is the preferred name in the industry that manufactures, imports and trades a wide assemblage of SS Allen Bolts. Manufactured in adherence to the industry norms, using quality grade stainless steel, these bolts are highly acclaimed for their rugged construction, dimensional accuracy and high durability. Proffered range can be availed at low rates. 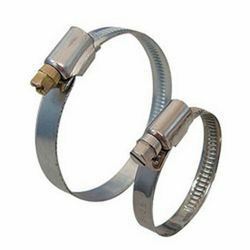 We are offering Stainless Steel Hose Clamps which are designed specifically to with stand high pressure and stress. Widely used in automotive applications, these clamps are designed as per the industry requisites to ensure our clients durable finish and corrosion resistance. Precisely manufactured by our innovative engineers, these clamps are flawless in terms of design. Ours is a well known name in the market that brings forth specifically designed and developed Industrial Washers. Proffered selection is extensively popular for its rugged construction, high durability, dimensional preciseness, ease of installation and high corrosion resistance. 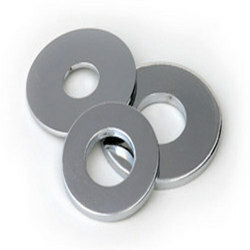 These industrial washers are provided in multiple specifications to meet the varied client requirements. Used in several applications with a primary function to hold things or components, we have introduced SS Hex Bolts to our valued customers. These products are designed and manufactured using qualitative materials as per the industry regulations to impart them accuracy and durability. Our valued customers can easily procure these products at reasonable rates, as per their specifications. With the support of our hi-tech infrastructure and team of effulgent personnel, we are offering Industrial Nuts to be used in several sectors including paper & pulp, chemical and others. These nuts are attached to bolts of same grade and dimensions in order to fix any of machinery parts. 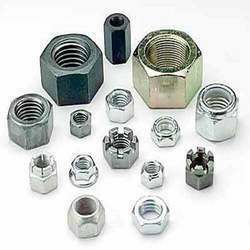 Designed with the precise approach of our personnel using qualitative materials, these nuts are known for their accurate dimensions and corrosion resistance. 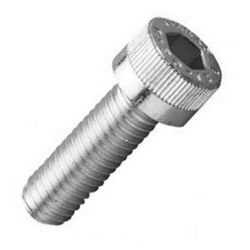 Being a profound name, we have manufactured and offered Allen CSK Bolt for our customers. These bolts are our accurately engineered products, designed as per the specified industry regulations. 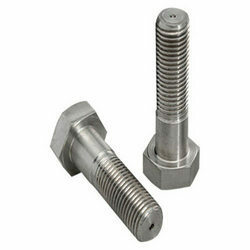 Available in varied sizes and finishes, these bolts are perfect for many industrial applications. 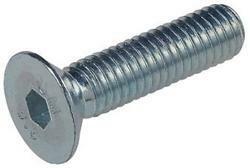 These bolts have the right ridge and skirt round the bolt owing to their outstanding holding characteristics. Looking for Industrial Fasteners ?